INDUSTRY.co.id - Jakarta - As of 1 January 2018, the Mahakam Block is officially submitted by the Government to PT Pertamina (Persero) after previously managed by Total E & P.
During the transfer process, the Government granted PT Pertamina the freedom to regulate the share of share to its partners, after giving the Participating Interest (PI) of Blok Mahakam by 10% to the Regional Government. 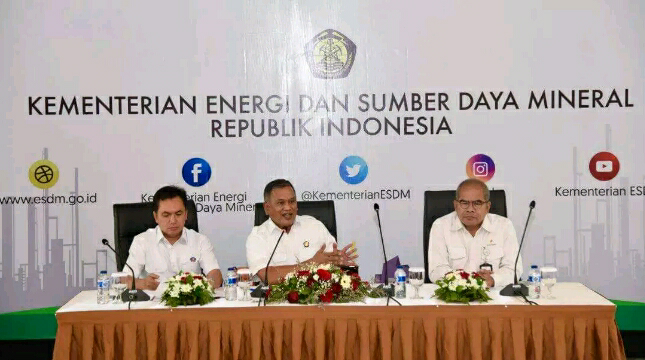 "The first stage of the Mahakam was given to Pertamina at 100%," said Head of Upstream Oil and Gas Regulatory Working Unit (SKK Migas) Amien Sunaryadi after a press conference for the achievement of oil and gas sub-sector 2017 and Outlook 2018 at Ministry of Energy and Mineral Resources Building Jakarta on Tuesday (9 / 1/2018). After being granted 100% shares, as mandated by Ministerial Regulation (Permen ESDM) Number 37 Year 2016, Pertamina is required to provide 10% PI shares to Local Government. "The understanding of this area is East Kalimantan Province and Kutai Kartanegara Regency," he explained. Related to the determination of the amount of value for the Regional Government entirely to the Provincial Government or consulted with the Minister of Energy and Mineral Resources in advance. "If it cannot decide, the ESDM Minister will decide," said Amien explaining the process of distributing 10% PI shares. Furthermore, the Government allowed Pertamina to divest its maximum share ownership by 39% by giving them freedom in seeking partners. "If it is realized, then Peratamina share it to 51%, 10% area, other party 39% .But that, if that is realized," he explained. In this final stage, the freedom given by the Government to Pertamina is expected to be able to grow upstream good oil and gas business in the company. "Share down the third stage is Pertamina's business and Business to Business is complete," Pertamina profits Pertamina will calculate Pertamina's profit," said Amien. Nevertheless, the Government hopes to Pertamina to maintain and even increase production with the cost of possible as efficient operations. For information, the average production of oil and gas on Mahakam block in 2017 at the transfer of management of 52 thousand BPOD (oil and condensate) and 1,351 MMSCFD (gas).